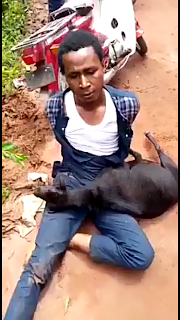 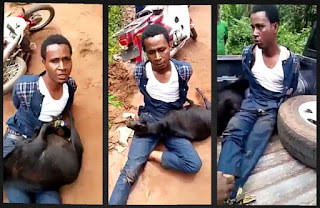 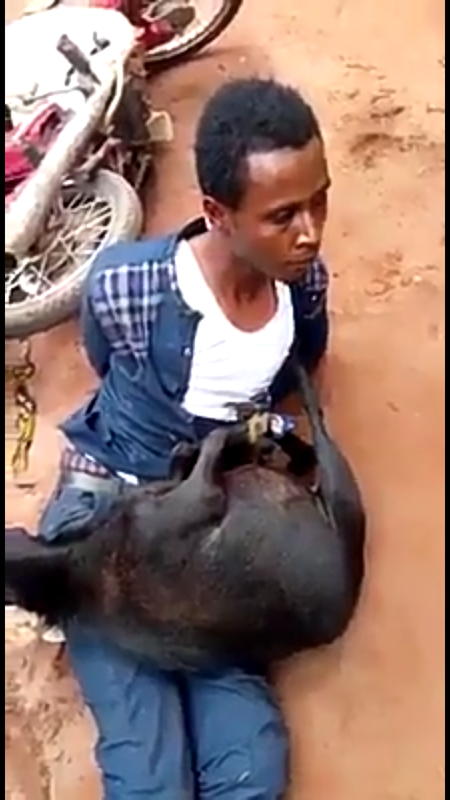 A so-called pastor got a public disgrace at Akukwa village in Igbo-Ukwu, Anambra state after he was caught stealing a goat. 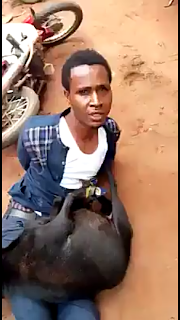 He was mercilessly beaten after he was reportedly caught red-handed and arrested. The stolen goat was also tied with him to humiliate him in order to serve as deterrent to others. 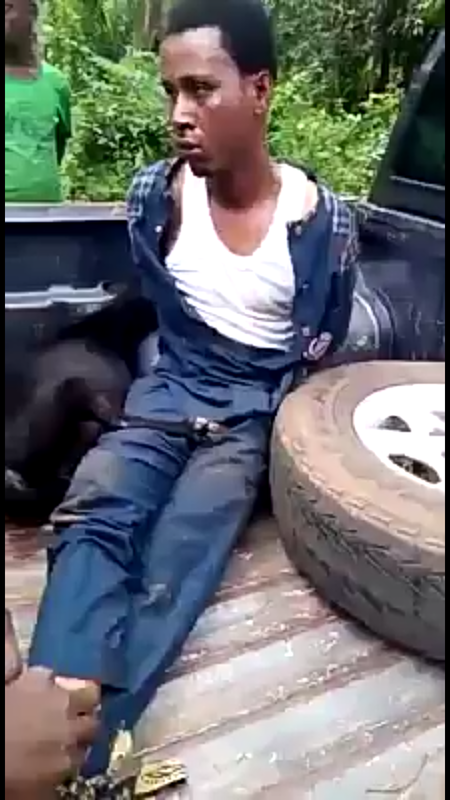 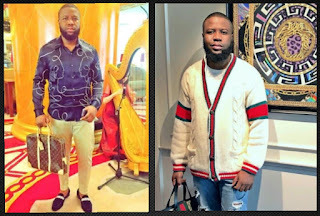 The pastor disclosed during interrogation conducted by the village vigilantes that his name is Chinedu from Orifite in Anambra state. 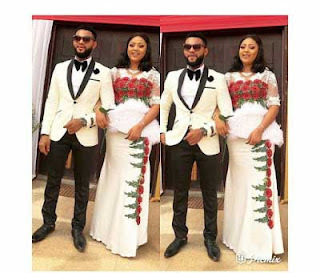 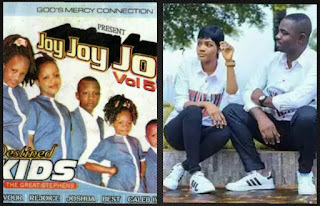 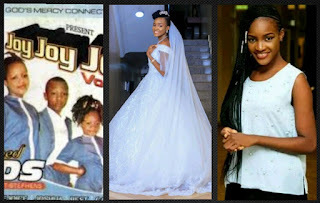 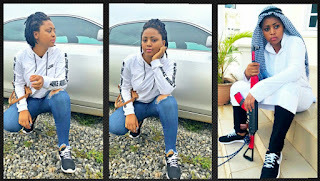 He added that he owns a church known as Key of Life Ministries in Ozubulu town but came to Igbo-Ukwu for an engagement. 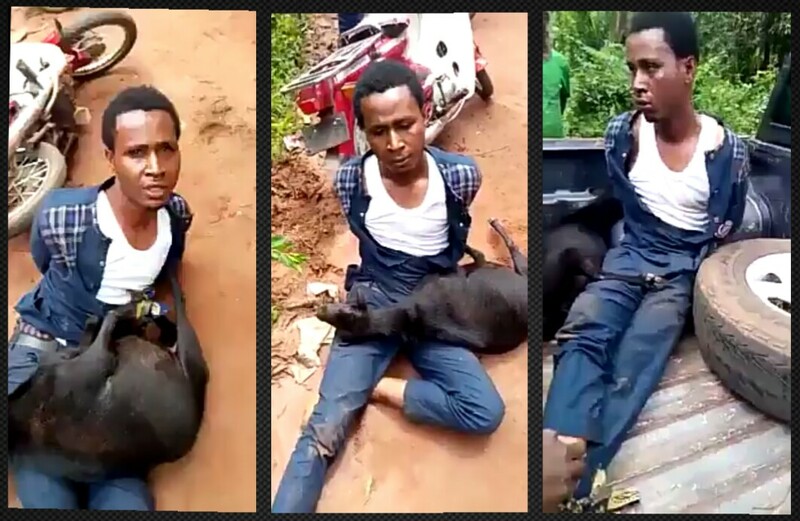 He confessed to stealing the goat which he allegedly said he wanted to use for sacrifice. 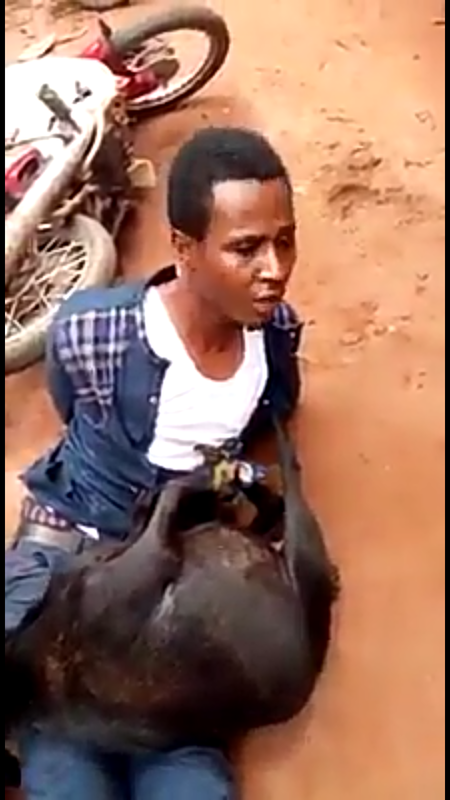 He was later handed over to police for further interrogations.